The oil boom that began in Borysław in the 1850’s launched an era of industrial expansion in the entire Drohobycz area. The population exploded as people came to find work in the petroleum industry and related businesses. Some Jews became very wealthy, among them the legendary Gartenberg brothers, Lazar and Moses. Their petroleum empire included oil exploration and production, as well as refining. They built one of the first oil refineries in the area. (See The Gartenberg Family). Lazar married Kreindel Weber (1835-1901). They had at least eight children: Anna, Felix, Sender, Josef, Ignaz, David, Adele, and Karola/Keile. 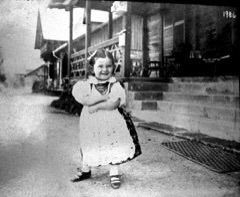 Ella Feuerstein, daughter of Adele and Jakob, (born in 1906), shown here at the family's summer home in Dębina in 1908. Jakob Feuerstein was very influential in the Drohobycz District. During his term of office as Vice-Mayor, he made many improvements in the town of Drohobycz. Lazar Gartenberg's daughter Adele married Jakob Feuerstein, the son of Ettel Schreier, whose grandmother was the sister of Lazar Gartenberg, and her husband Elias Feuerstein, a wealthy and philanthropic member of Drohobycz society. Left: Jacob Feuerstein, fourth from the left, is shown in front of an oil well in Uryc with other dignitaries. Above: At the entrance of Adele Gartenberg’s summer house in Dębina in the mid-thirties, from left to right: Adele and Jakob’s daughter, Ella, Ella’s son, Mario, Adele Gartenberg, Ella’s son Jacques, Franka Goldmann, the second wife of Ella’s first husband, Anna Schmidt, the children’s nanny, and Karola Gartenberg, Adele's sister who was later gassed in ambulant killing truck by the Nazis. Lazar and Moses Gartenberg had purchased an estate in the village of Lubience, east of Drohobycz, close to the town of Stryj. 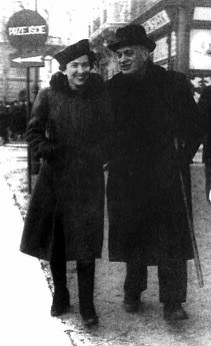 After Lazar's death, his daughter Adele inherited the estate. Anna/Chane (1855-1920), married Dr. David Schwarz (ca1845 - ca 1920); Felix/Fischel Kalman (1858-1921) married Amalia/Malke Lucaczer (d. 1907); Sender (1862-1869); Josef (1864-1932), a major industrialist and board member of the "Jaslo" Mineralölwerke Gartenberg & Schreier AG in Jasło and the Petroleum Industrie AG Gartenberg & Schrier in Amsterdam, married Salomea Weissmann (1868-1954); Ignatz/Isak (1868-1935), a pharmacist, was a founder and member of the board of the Uryczer Petroleum-Industrie-Gesellschaft in Drohobycz. 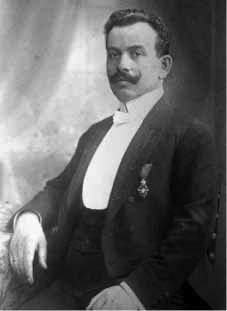 He married Rosa Siegel (1873-1932): David Gartenberg (1869-1924), was the head of the bank, Gartenberg & Co. in Vienna and a member of the Gartenberg, Schreier, Feuerstein, Wiszniewski Co. He married Berta/Breindl Liebermann (1873-1956); See Adele (1873-1956) and Karola/Keile ?-1942?) below. Jakob took an active part in the petroleum industry, managing the petroleum interests of his father-in-law after his death in 1898. He was instrumental in developing the rich oil fields in the village of Urycz in the early years of the twentieth century. He also became prominent in politics, serving for some years at the begininnng of the twentieth century as Vice-Mayor and head of the kehilla. 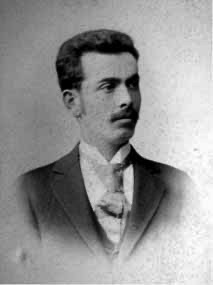 Jacob Feuerstein had strong affiliations with the Polish Party that advocated more autonomy and power for the Polish population of Galicia within the Viennese Parliament. He and his supporters essentially supported the status quo that represented the interests of the wealthy Polish nobility and industrialists in Galicia, but had also brought an era of relative peace among the various national and religious groups in the Empire. These affiliations put him at odds with the growing opposition to Austrian rule among Poles, Ukrainians, and Jews. At the end of the nineteenth century and the first decade of the twentieth century, the party he supported was being challenged by Jewish Zionists and Socialist parties that were active in the Drohobycz District. In 1911, during an election in Drohobycz for representatives to the parliament in Vienna, Jacob Feuerstein and his party supported Nathan Lõwenstein of Lwów as candidate. Accusations of improprieties in the voting were raised. A riot ensued and the Austrian troops, who had been called to keep order, fired into the crowd, with the result that several people were shot. At the time Jacob was not serving as Vice Mayor; nevertheless many people blamed him for the slaughter. His house was destroyed by the mob and he was hounded out of Drohobycz. He left in 1914 to live in Vienna and died in Karlsbad in 1927. 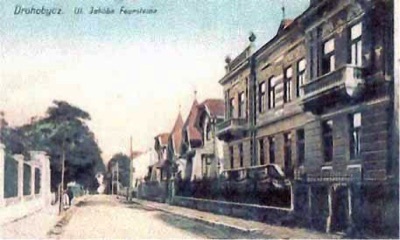 Adele persuaded Henryk Kronstein and his family to flee the German invasion in 1939 by leaving through Romania. In Czernowitz, she arose early and was able to cross the border. The Kronsteins did not go to the border until later and were not allowed to cross. Most of the Kronstein family later perished. Submitted by Jacques Benbassat, the grandson of Jacob and Adele Feuerstein.